For obsessive chopping + dicing! If you are one of those folks for whom things must be “just so”, then this cutting board is for you! 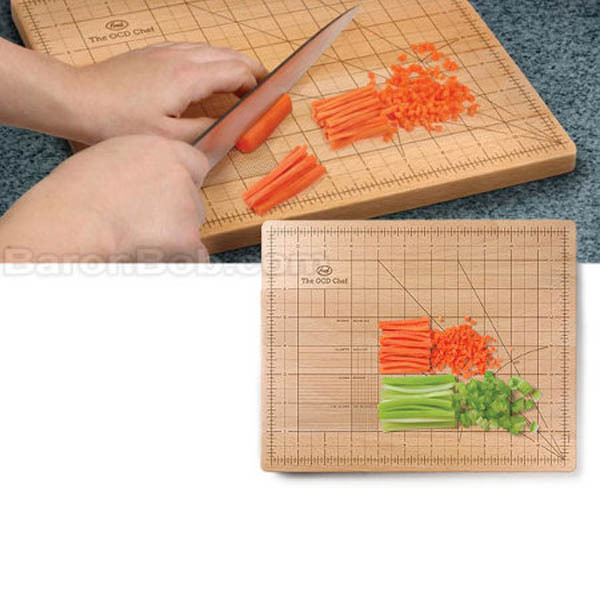 Our OCD Chef Cutting Board, a 9" x 12" cutting board made of strong, long-wearing beechwood, spells out the most precise measurements in exacting detail. So, don’t worry...it’s OK to go a little overboard. And if you want to wash it twenty times after you use it, we won’t tell.